Are these really allergies or are they simply excuses, ways to rationalize a return to eating animal products? To what extent do powerful psychological and sociological forces play a role in this process of elimination and justification of food choices? These are questions that continue to fascinate me and that I intend to explore more fully in the months to come. I respect the fact the some have food allergies, and some of these allergies are serious and life-threatening. The fact that these allergies are real threats to their health and survival has been well-documented. On the other side of the spectrum is a growing chorus of people today who are claiming to be allergic to almost everything imaginable — except meat and cheese and eggs. Isn’t that interesting? Many people who have adopted a low-carb diet regimen claim that complex carbs, which consequently have been the nutrient-dense staples of civilization for millennia, just “don’t agree with them anymore.” Others claim to have adverse reactions to soy and other legumes, the very superfoods that could sustain them well on a plant based diets. Suddenly with all of the options they have ruled out, they are left with no other option than to bring animal products back into their diet. And these are doctors orders, they will assure you! I also can’t help but see the uncanny coincidence that none of these people I am reading about — not one — is allergic to meat, cheese or eggs! And equally baffling is the fact that no one seems to question that the animals we are eating get all of their nutrients from plants, the same plant sources they claim to be allergic to! These animals are essentially herbivores by nature (even though they are often fed animal by-products and manure on modern farms). And why do they have so much faith in their doctors, the vast majority of whom have only a cursory understanding of nutrition and are simply regurgitating what they learned from the USDA, handing out USDA My Plate pamphlets that come from the same government agency whose job is to promote animal agriculture? If they really want to observe a plant based or largely plant based diet, why aren’t they consulting leading nutritionists who have made it their business to show how people can get all their nutrients from plant sources and show how animal products do not offer us anything we can’t get from plant sources? There’s plenty of them out there today, and they have plenty of internationally-recognized, peer-reviewed evidence to support them. Even the American Dietetic Association, also beholden to animal agribusiness interests, agrees! So what’s the real problem here? In my efforts to dispel the myths about eating animals, I have been criticized that I am not looking at the individual nature of dietary needs. I am not a nutritionist, but at the same time, I know that calcium is calcium. So let’s take calcium as an example. Calcium can be obtained from dairy products or they can be obtained by going to the same plants where the cow gets hers! And they are easier to digest and more readily available when we go directly to the source. I’m not failing to recognize that each individual may have different calcium needs and even at different times in their lives. My point is simply to acknowledge that calcium sources are abundant in plants. There is no disagreement about this simple fact. And we can go down the list of every essential nutrient and do the same, showing what plant sources have an abundance of said nutrient. And yes, it is true that B12 does not exist in a reliable or consistent manner from plant sources today (though it may have prior to modern agricultural practices), but it’s easy to take a B12 supplement or simply eat fortified plant-based foods that contain B12, like enriched breads or fortified soy or almond milk. All you need is a trace amount. Big deal! And nutritionists today, recognizing that even people consuming animal products heavily, cannot readily absorb B12 from food and therefore should also be taking a B12 supplement. 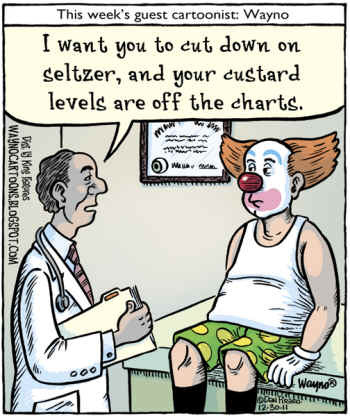 Honestly, I hate to get into the nitty gritty of nutrition debates! I say, leave it t the experts. If you want to know how to get optimal nutrition from a diet that does not include animal products, get the reference book, Vegan for Life, by Norris and Messina. You won’t need any other reference. It answers all of the concerns and objections I’ve heard. I’d rather spend my time examining the psychology of eating that I think is really at the core of this sudden widespread epidemic of allergies and intolerances. I think we risk falling into a self fulfilling prophecy that blinds us to a deeper understanding of nutrition facts. Does it really make any sense that one could be allergic to everything but meat, cheese and eggs when these products are built upon the very ingredients they claim to be allergic to? Does something magical happen when they get ingested through an animal’s gut and become part of their flesh and mammary gland secretions? I’m waiting for real answers.